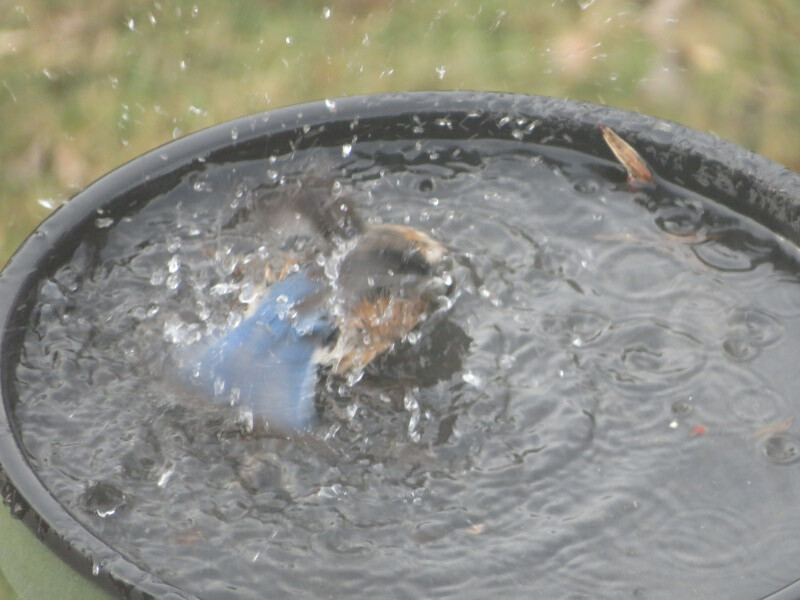 Last week, we had extra drama at our birdbath. 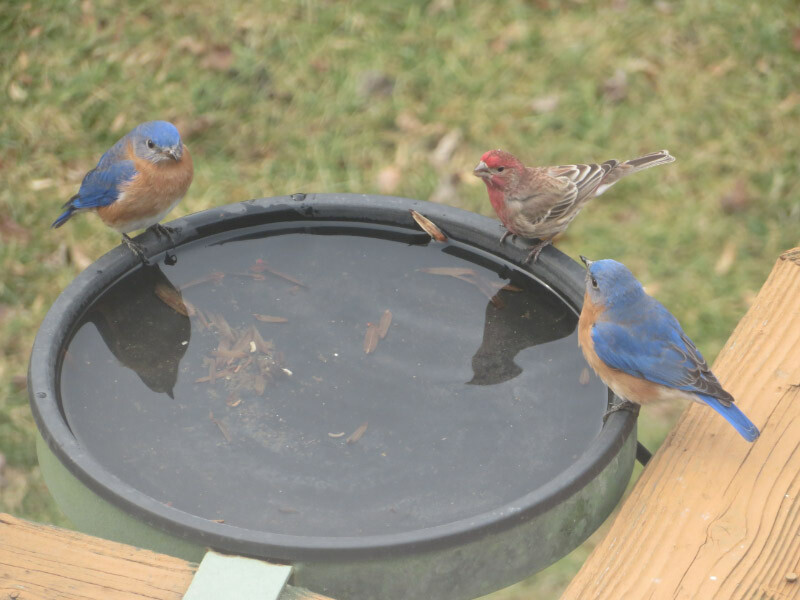 It started out with some bluebirds coming for a drink – not unusual. 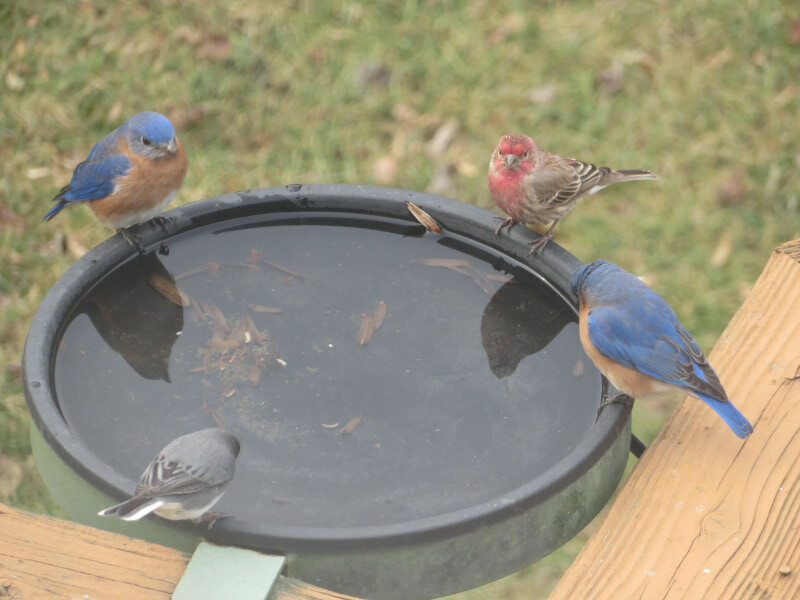 A finch and junco joined in but left after a sip. 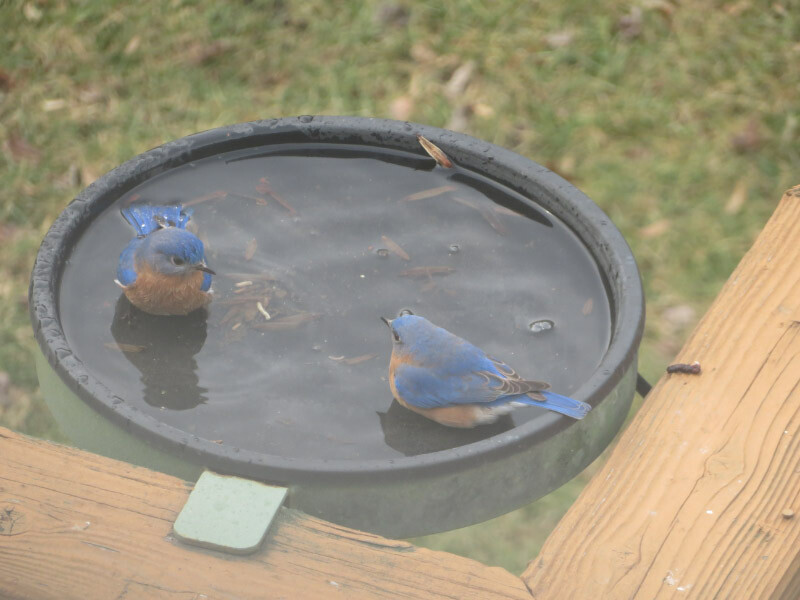 There were three bluebirds around the birdbath – with the female appearing to eye the water rather than getting a drink while the males watched. 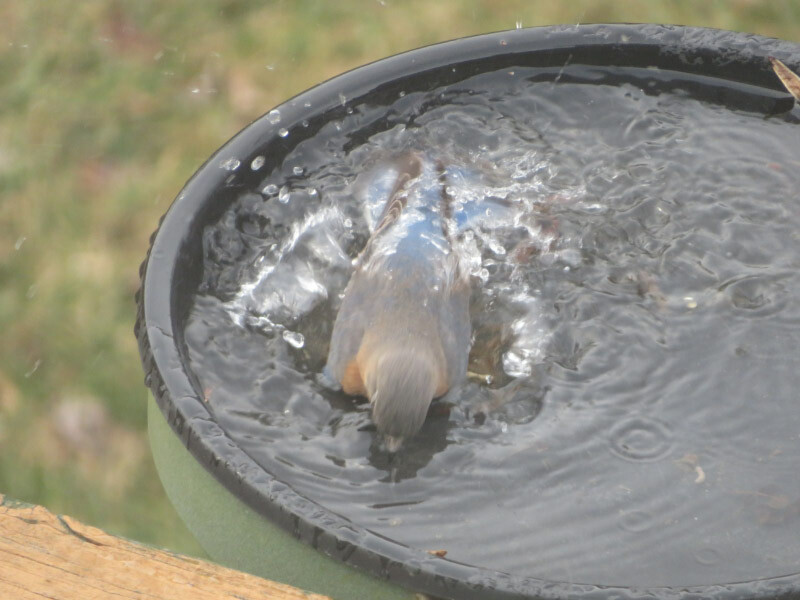 Then one of the male bluebirds jumped into the water…and splashed around. It was interesting to see how the bird seemed to put its head down and maybe used it beak as a third ‘leg’ while it bathed. 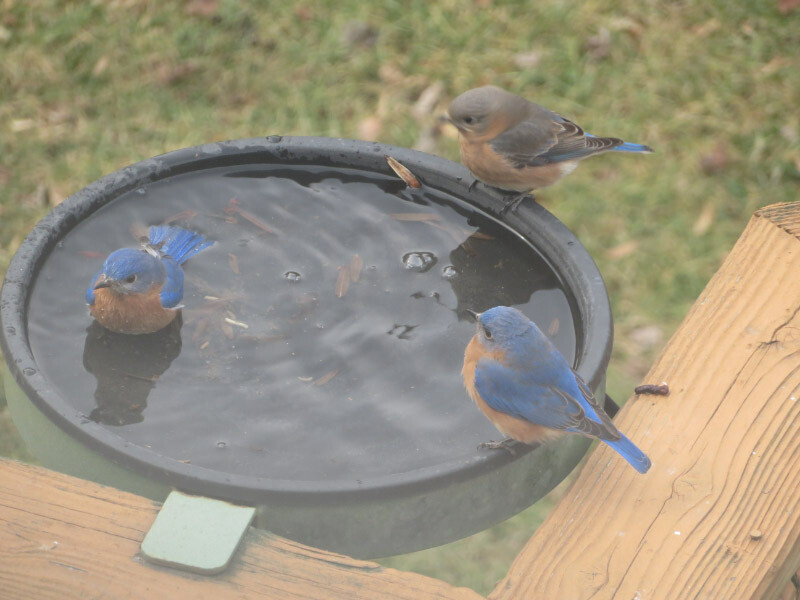 The female bluebird flew away while this was happening. 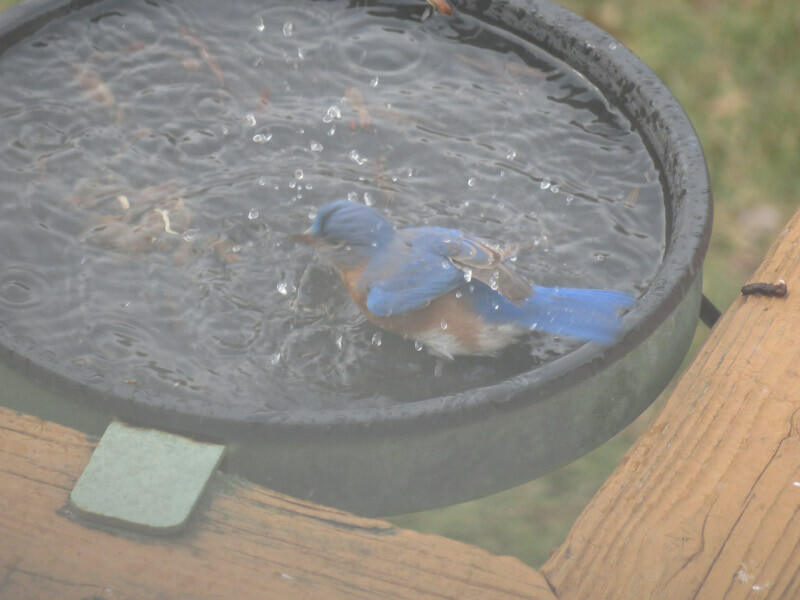 Just as the first bird seemed to finish up, the second male bluebird stepped in but waited until the first one flew away to get serious about his bath. 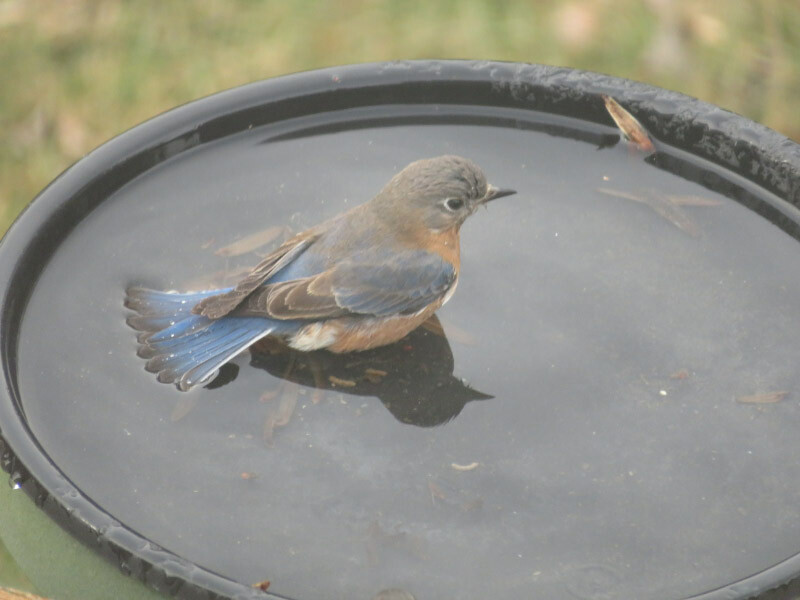 Meanwhile the female bluebird came back and was waiting. She got into the water as the second male finished but waited until he flew away before starting. 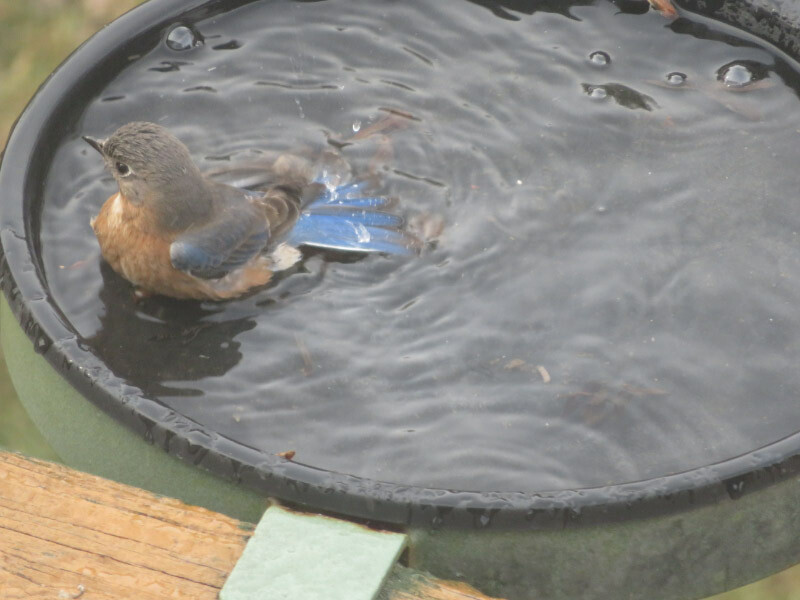 She took the most time with her bath – completely turning around in the ‘tub’ before she flew away. All this action happened in about 2 minutes!